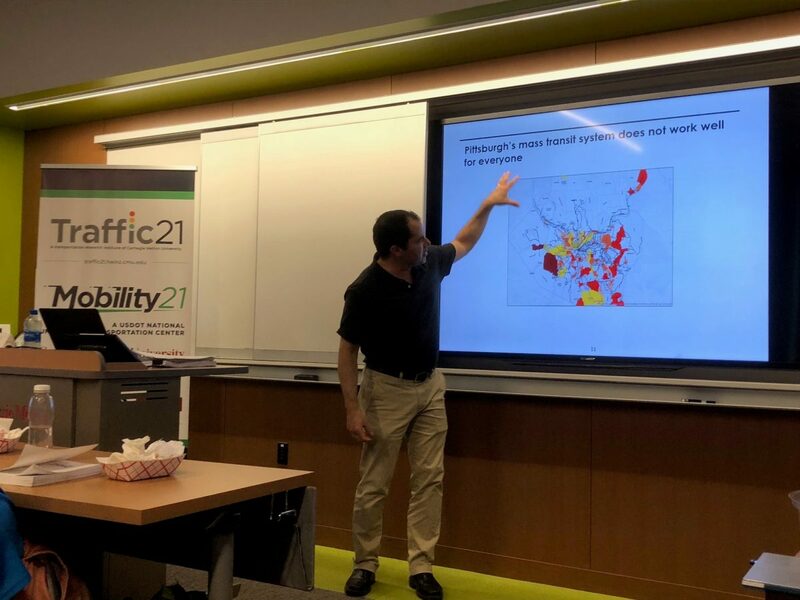 Home > What's Happening > Seminar > Smart Mobility Connection: Can Ridesharing help the Disadvantaged Get Moving? The Smart Mobility Connection Series continued with an exciting presentation from Lee Branstetter, Professor of Economics and Public Policy at Carnegie Mellon University. Branstetter’s seminar “Can Ridesharing help the Disadvantaged Get Moving” proved to be an exciting topic as we became standing room only and ran out time before Branstetter could answer all the questions.